After a collision, you want to get back on the road as quickly as possible. At Northland Collision, we will handle every aspect of the repair process, whether you’ve had a minor fender bender or something more serious. Your life doesn’t stop because of an accident. We’ve partnered with a local car rental service to offer free, clean and modern loaner cars. Simply let us know that you’ll need a car while yours is being repaired, and we’ll reserve a vehicle for you. 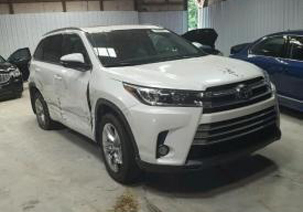 It doesn’t matter if your car is foreign or domestic – our technicians have the skills and training needed to bring it back to factory specifications after a collision, dent or ding. When you’ve been in an accident, the last thing you need to worry about is how to get your car to a repair shop. 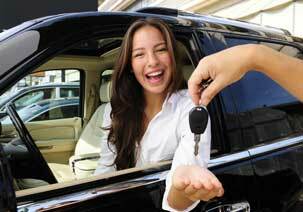 We will work with you to get your vehicle here, so you have one less thing to worry about. We will work with your insurance company to assess your car’s damage, provide a free estimate, file paperwork, and get the necessary insurance approvals before we begin making repairs. Northland Collision is proud to work with all major insurance companies. If your car requires repair of scratches, dings, and dents, the technicians at Northland Collision are trained to return your vehicle to its original factory finish. We use the latest technology paint matching system and follow it up with a buff and polish that will have your car looking good as new. Even the smallest accident can cause frame damage that compromises the safety and strength of your car. We have the skill needed to find the tiniest imperfections and the technology to bring your vehicle back to its pre-accident condition. A moderate to severe impact can cause major damage to your car’s suspension, bending wheels and making for a bumpy ride. Our technicians have the experience to identify all of the damaged parts and the advanced equipment needed to repair them. A collision can drastically alter your car’s wheel alignment, leading to decreased fuel economy, longer braking distance, and other safety problems. If necessary, your wheel angles will be restored to their correct settings, so your vehicle can perform at its best. Any damage to your windshield can be a safety hazard. We offer full service auto glass replacement using the highest quality parts, sealants and adhesives. Less invasive than traditional dent removal, Paintless Dent Repair works with the flexibility of original factory paint to restore a vehicle to its factory finish. 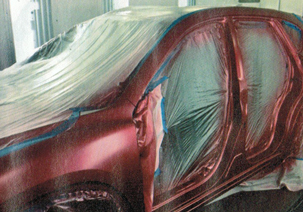 During the repair process, we will carefully knead or use suction to remove the dent without affecting the paint. This is often less expensive and decreases turnaround time.